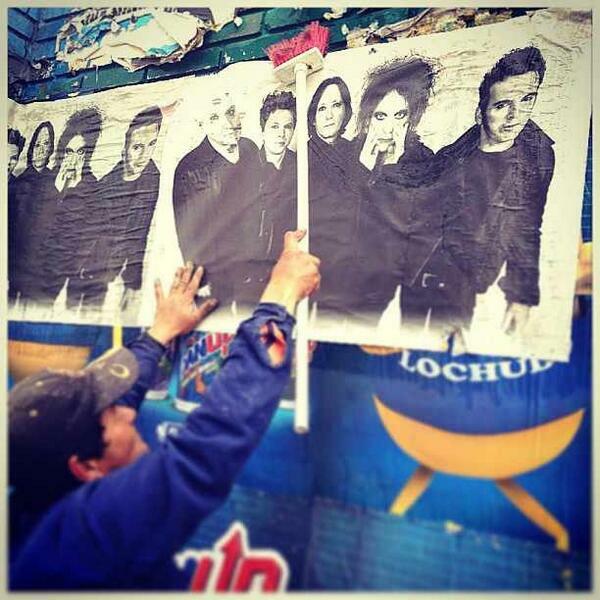 From DG Medios Facebook: "The Cure request Chilean dishes: Fans wait anxiously"
Anything important in this article? Can anyone give a summation of it? Thanks! The show in Sao Paulo, Brasil on April 6th has been moved from Morumbi Stadium to Arena Anhembi. Details on how to exchange your tickets are posted at the Live Pass website (English). I'll post them here as they're announced. Live in Colombia & have a Chevrolet Sonic? 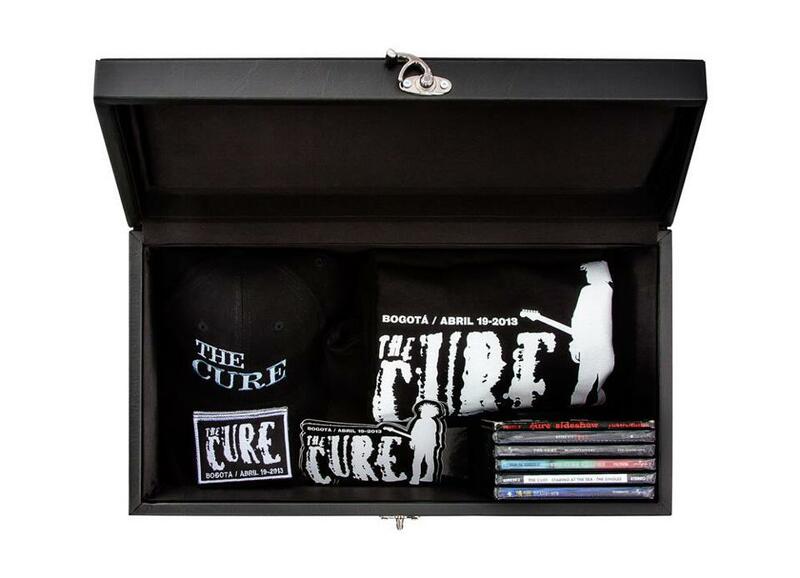 You could be one of 4 people to win this Cure prize pack & 4 tickets to the Bogota show. Details here. "Bernard Lenoir, famous French 'alternative' radio DJ (also known as the 'French John Peel'), whose daily show on France Inter was suddenly stopped 2 years ago, is releasing a double compilation of his favorite songs that includes 'Just Like Heaven'. - at 00:25 : he answers about his most memorable black session: "Oh my god! We did 350 Black sessions, I can't think of one... yes, the one we thought would never happen, it was The Cure. They finally came and played for nearly 3 hours. It was a big surprise." From Reeves on Facebook: "you will be seeing me playing this reverend "tricky gomez" prototype guitar ( minus the cat toys) quite a bit on the road with The Cure. quite the versatile little hot rod." 'Boys Don't Cry' is 44th most Satanic album? Here's a weird one. Apparently because of 'Killing An Arab', Boys Don't Cry is #44 on this Top 100 Most Satanic Albums list. The Cure's 'Boys Don't Cry' will be included in the tracklist for the upcoming 'Rocksmith' video game, which is like Guitar Hero & Rock Band, but uses real guitars. Peru.com (English) - clarification about the selection of the 2 opening bands. La Tercera (English) - says 40,000 out of 55,000 tickets have been sold for Santiago, Chile. Virgula (English) - interview with a longtime Cure fan in Brasil.